How to break three hours or set a PR in the marathon? Here’s what our interview guests have said. Use it, it works! 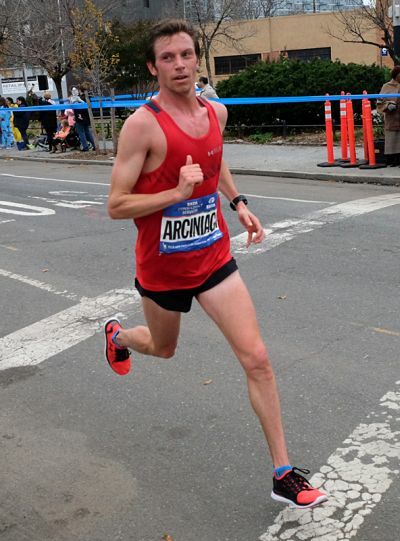 Nick Arciniaga: Run 5 seconds below race pace for your long tempo runs. Do one of these tempo runs per 10 day cycle, and build the tempo run up to 18 miles. Esther Atkins: Practice your race pace. Once or twice a week, you should be hitting that pace for at least a few miles. You can incorporate it into workouts – 8 x mile at race pace or 4 x 2-mile, that sort of thing. Try to throw in some miles at marathon pace within the long run too. 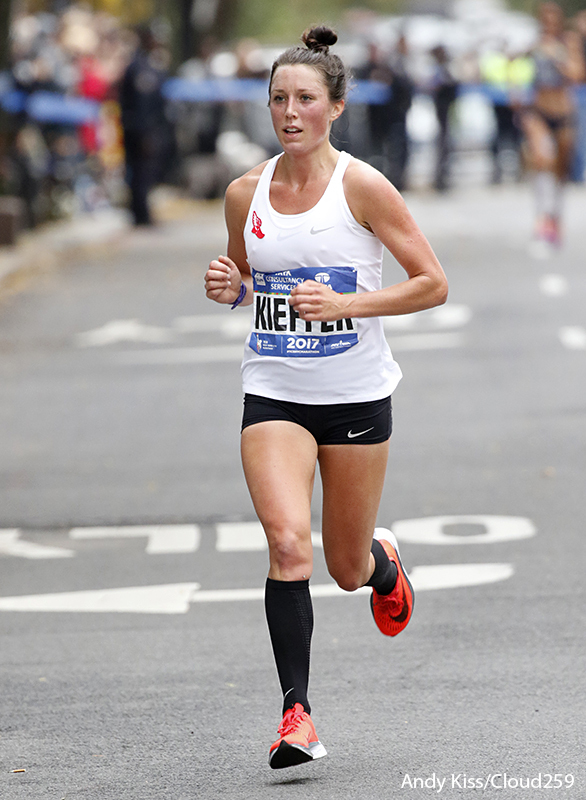 Amy Begley: Every other week do a tempo run at marathon pace within your long run. Extend the tempo run for up to 15 miles. Don’t start tapering until 2 weeks out. 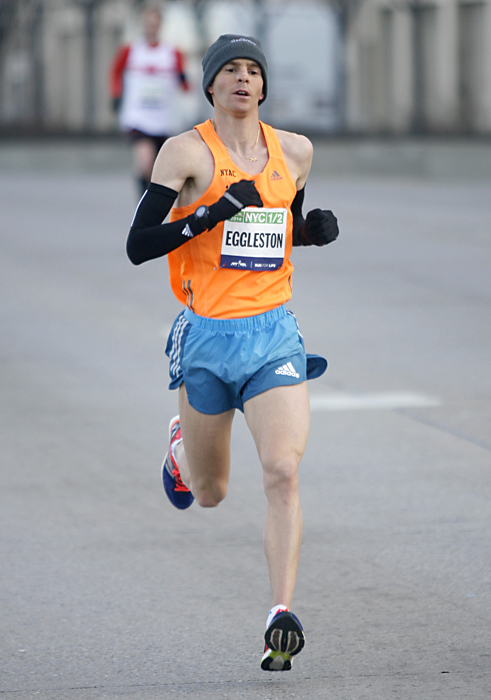 James Chu: Run 12-15 miles in the middle of your long run at marathon goal pace. 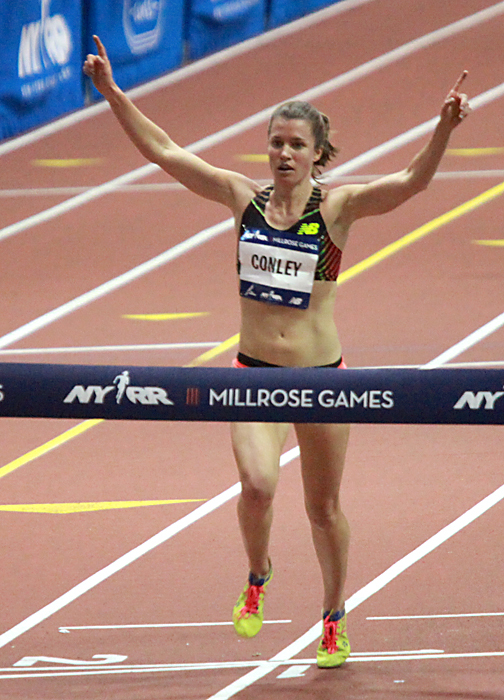 Kim Conley: (For PR in a 1k), be comfortable running a little bit slower and a little bit faster than the targeted race pace. Reid Coolsaet: Train a lot (15-20% of your total volume) at marathon pace. Know that pace and be confident in it. It’s easy in the marathon to go out too fast because you feel fresh. Alan Culpepper: Get fast first. 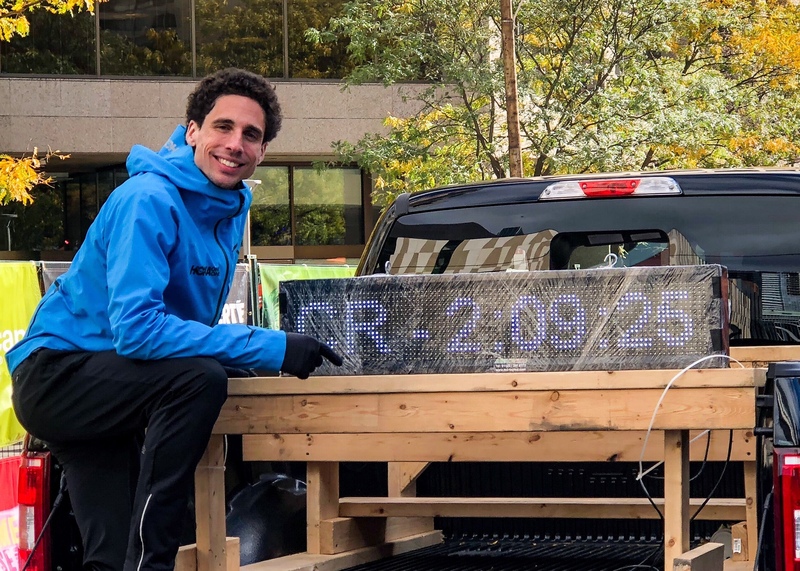 Before you start your marathon buildup, get into the best 5k/10k shape you can, then transition and maintain that by touching on the speed throughout your training plan. In terms of run/life balance, “don’t force it where it doesn’t fit.” Fit in the training when you know you can get it done. Buzunesh Deba: Run twice a day. Alison Désir: Do the stuff that you hate. Jeannette Faber: Assume that you will break 3. Go about your business as if there is no chance you are not going to reach your goal. Visualize that the race will go perfectly. Of course it doesn’t always go perfectly, but it usually goes well enough. Ulrich Flume: Run with people who will push you. Don’t race every workout, but some workouts have to hurt. Daniel Gercke: Do Burpees. Cross-training makes a huge difference. Know when to be gentle with yourself. 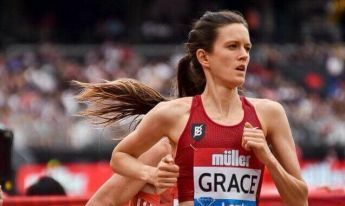 Kate Grace: Ask an 800 meter runner how to prepare for a marathon: Carbo-load! (Question revised: how to run sub 2:59 per K for a 3k): Focus on your arms, core, and form. Suggested workout: planks with feet on a Bosu ball, then transition to pushups (post run). Alana Hadley: Remember the little things besides getting your workouts everyday. Make sure you recover enough, eat enough, drink enough, do your stretches, and keep up your core. Mark Hadley: Seek to improve and keep in balance these five tenants: consistency, capacity, frequency, mixture, and passion. A lot of runners could see improvement in consistency. 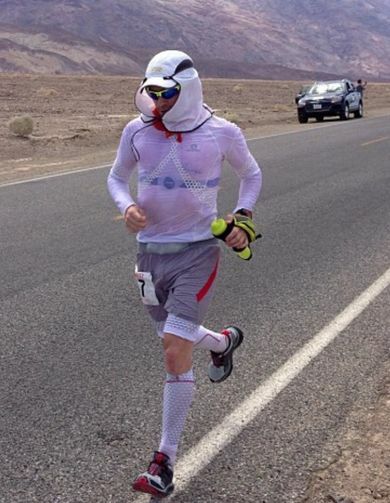 Jason Hartmann: Run a lot of hills. If you can take anything from a cyclist, they know how to climb. Run a fast course. Nate Jenkins: Specificity. Train the pace that you want to run and the time that you want to run. Weekly sessions of 12-15 miles of running at marathon pace. If you want to break three, run for three hours (at 20 seconds slower than MP). Brad Kelley: Consistency. Tempo, long run, and speed work. Don’t get injured and don’t get sick. Allie Kieffer: If you’re not having fun, you’re doing something wrong. Christo Landry: Be patient on race day but also in training. A systematic build up is far better than haphazard training. Craig Leon: Always have your running shorts on. When you’ve got free time you want to be able to use it! 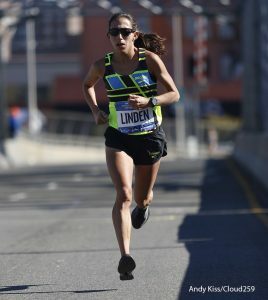 Des Linden: Love the process. The steps that hurt, you actually earned, because you have to push yourself really hard. Smile at the pain, know that you’ve worked really hard to get there, and keep fighting through it. Tyler McCandless: Stop over-analyzing your training. Take a month and don’t wear a Garmin. Run the right effort levels and believe in what you are doing, and you will be amazed at your end result. 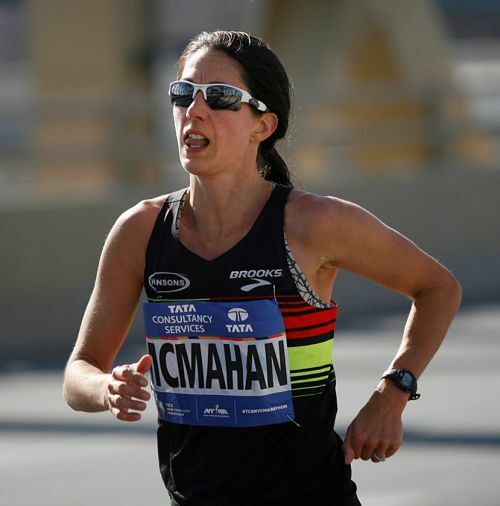 Dot McMahan: Try speed work in an off-segment (not during marathon training). Do a few months of 5k or shorter paced training, which would give you some leg turnover and make you appreciate that you do have leg speed. Angela Ortiz: Consistency. Get out every morning and do your run, even when you’re tired or when you don’t want to. Patrick Rizzo: Consistency over a long period of time. Beverly Ramos: Remember that the marathon is very long, so do quality workouts that are long enough. Long fartleks (one and a half hours). Alternate 10k pace, marathon pace, and easy pace. 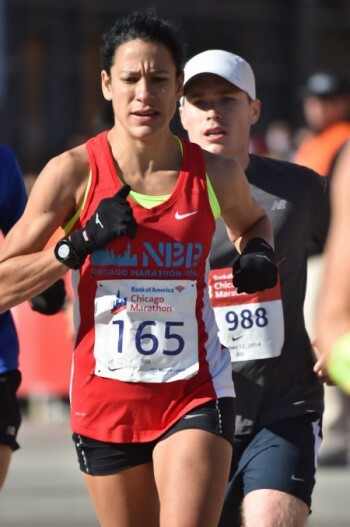 Tony Ruiz: Balance training with speed work to help make marathon pace more comfortable. Blake Russell: Push yourself through stress and adaption. Do hard workouts (to build muscles and capillaries, and to improve oxygen processing), and take your recovery days seriously. Lisa Stublic: When you’re training, faster doesn’t always necessarily mean better. Endurance is the main focus. If you don’t have the endurance to support the speed, then you’re doomed from the beginning. 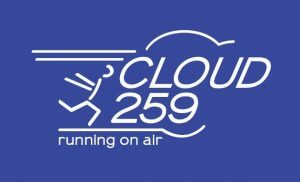 Jane Vongvorachoti: Pick a goal, plan races leading up to the marathon, and work backwards in your training towards that goal. 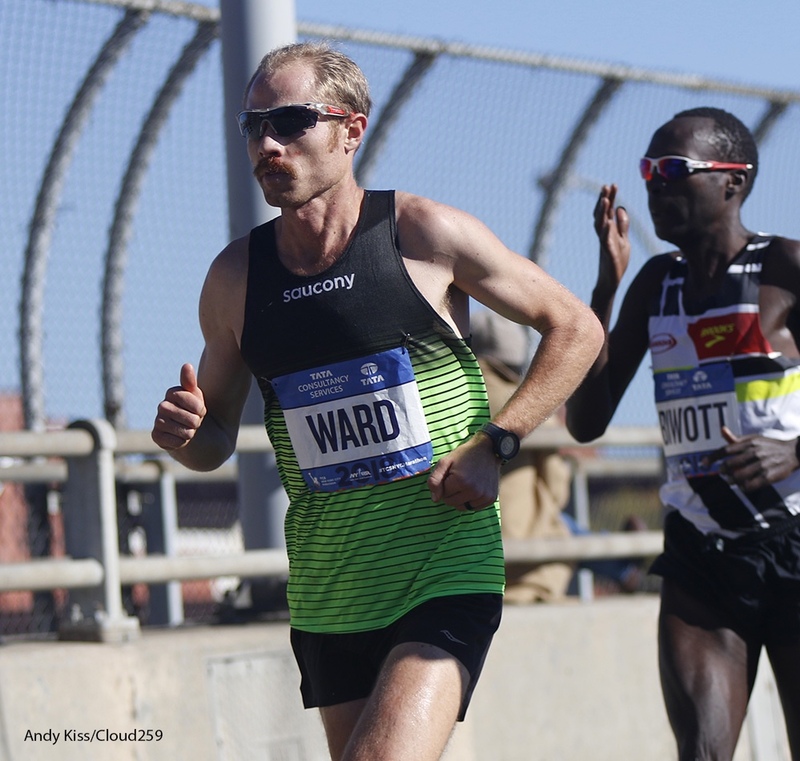 Jared Ward: Four 25 mile runs, with 4-8 miles at marathon pace toward the end of the long run. Hit the weight room. Lawrence Warriner: Always do hills. When you are training, hills are the key to everything. Don’t overstride. As soon as you lift your foot, put it back down. It saves energy and saves your calves and your quads work. You are hitting your stride point much better, hitting your forefoot instead of landing on your heel. Kim Conley: Have patience early in the race. Buzunesh Deba: Don’t lose hope. And pray. 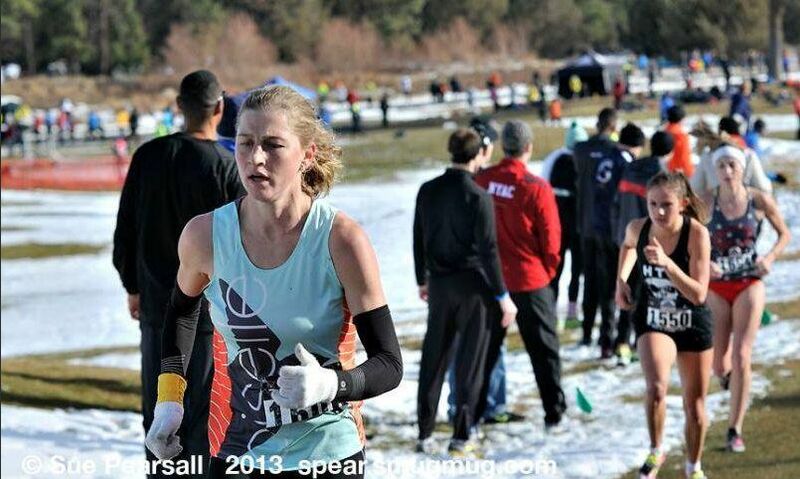 Lauren Fleshman: The advice a Kenyan gave me: Just run faster! Incorporate mental training. Focus on your strengths rather than weaknesses to gain confidence as you approach mile 20. Prepare counterarguments in advance before the race starts for negative thoughts you may have late in the race. Brad Kelley: Have a plan. 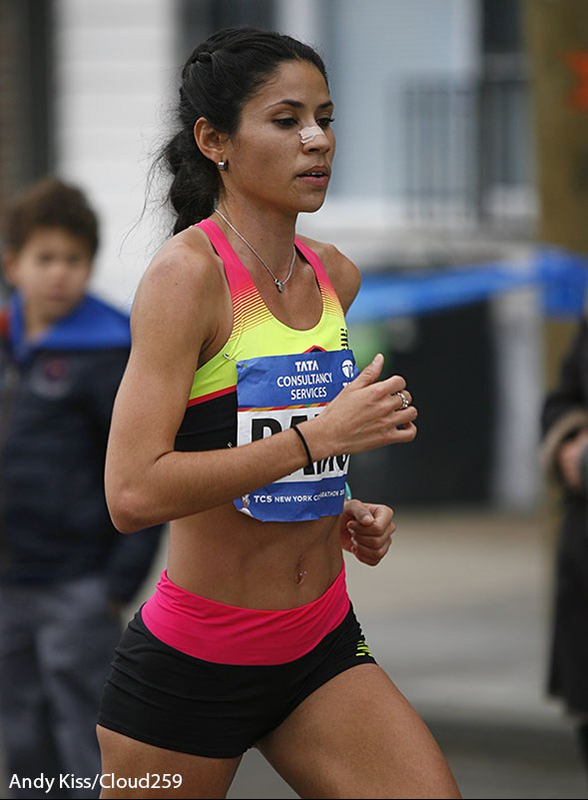 Cameron Levins: Be patent early in the race. Trust that if you’ve trained well, you can run a strong second half. Do not be afraid of the last 10k of the race. Be ready to take it on. 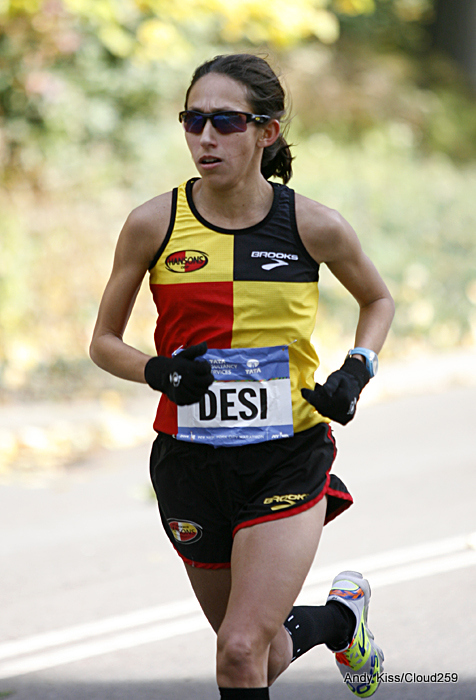 Des Linden: Love the process. Smile at the pain, know that you’ve worked really hard to get there, and keep fighting through it. Tatyana McFadden: During the race when you hit a hard point, refocus. When you finish the race, you want to say that you put in 100%. 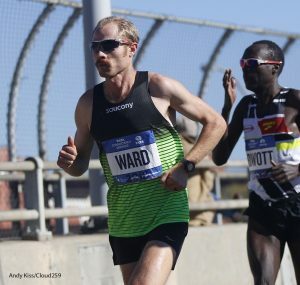 Glen Redpath: Borrowing from the playbook of CPTC coach Tony Ruiz, narrow your focus through the race from wide for the first 10 miles, to middle for the middle 10, to really narrow for the last 10K. During the first 10 miles you should be able to talk to the person next to you, and during the last 10K you should have your blinders on. Alan Ruben: Follow the 10-10-10 plan. The first 10 miles should feel almost effortless. From 10 miles on you’re putting more effort in, but saving everything for the final 10K. For a 3:00 goal, which is 6:52 pace, aim for 6:55 pace the first 10 miles, 6:50 the second 10 miles, and 6:45 the last 10K. 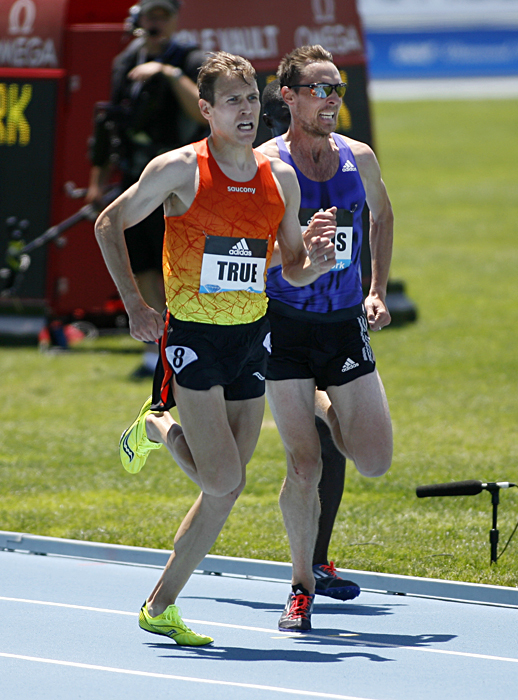 Ben True: Pace yourself. The first part of the race should feel easy, the last part of the race is the hard part. 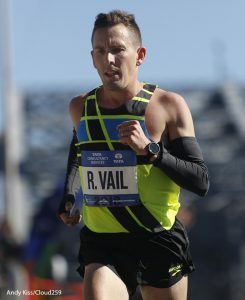 Ryan Vail: Stay focused at 30K. Those are the miles. Have confidence that you will be able to finish the race at the same pace or faster. Lawrence Warriner: Patience is everything. Close your eyes to the people around you running, just look at the crowds. Tom Williams: Believe you can do it. Don’t see three as a barrier, it’s just an arbitrary number. Martin Yelling: Zip up your mansuit. Don’t let your spirit buckle — be on it for the entire duration of the race. I would not recommend running 18 miles at marathon pace, and definitely not at MP -5. 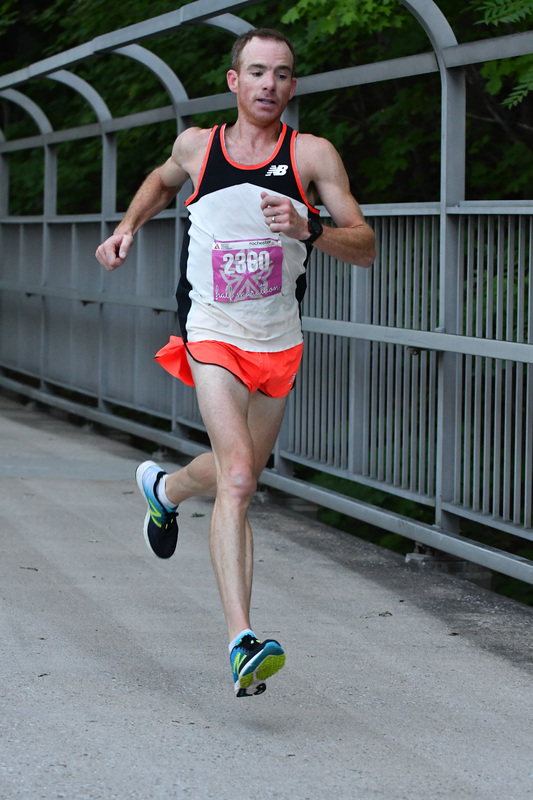 If you want a better session, then race a half marathon. We discuss this a bit in Episode 62. I’ve had luck with 18 at MP three weeks out from marathon, less luck two weeks out. I wouldn’t recommend it unprepared … you’ve gotta build up to it. But I also think it offers something a half can’t in that in enforces a kind of patience that is more necessary for 26.2. 5 sec below MP = 5 sec FASTER than MP? Some great quotes and advice, definitely a positive read, thanks!